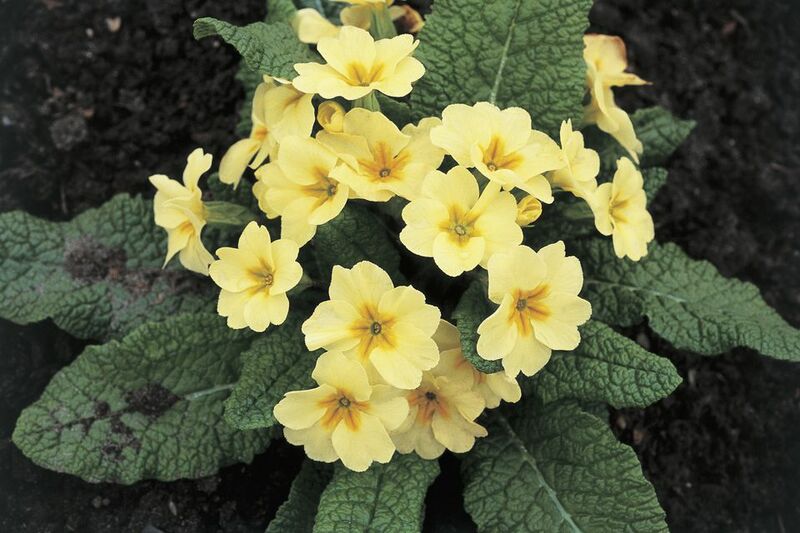 Normally thought of as outdoor plants, primrose is actually excellent indoor potted plants for winter or spring blooms. Although the common primrose (P. vulgaris) can be grown as a potted plant inside, the favorite potted primrose tends to be the more delicate species, with clusters of small blooms that rise above the crinkled and attractive leaves. All delicate primrose should be treated about the same, and in no case should you expect a long-lived houseplant. Rather, think of your pot of spring-time primrose like your blooming fall phalaenopsis orchid: it's a beautiful visitor, but will not survive over the long term inside. Once the plant has finished blooming, you can move it outside to a protected spot in your summer garden and hopefully enjoy a season of additional blooms. Light: Primrose prefer brightly lit windowsills, but the indoor fancy primrose should not be exposed to direct sunlight. When planting them outside, put in a shady or dappled corner. Water: Primrose need adequate, even and regular moisture to thrive. They shouldn't be soggy, but don't let the soil dry out either. Look for signs of wilting. Fertilizer: Fertilize with a weak liquid fertilizer during growth and flowering. Because these are not meant to be long-lived indoor plants, a single application of controlled-release fertilizer may be adequate to get them through the flowering season. Primrose are propagated from seed, which is sown directly in soil or potting media. Most pots of indoors primrose are purchased as flowering plants, destined to be set atop a desk, sill, or table until they're done flowering. However, if you're interested in selecting and starting your own primrose pots, sow seeds directly into the pot in fall or early winter and keep the seedlings under fluorescent lights in a warm spot, with regular water. Plants should be blooming by early spring. It's unlikely you'll be repotting your potted primrose. If you do, make sure not to bury them too deep—burying too deep is a prime reason primrose succumb. Bury the plants so the top of the root ball is slightly elevated above the level of the surrounding soil. Never pile soil up around the stem of a flowering plant. P. malacoides (Fairy Primrose). This delightful little plant features white, pink, purple or red fragrant flowers arising on stalks. This is a relatively long-blooming primrose. P. obconica (Poison Primrose). Featuring large and fragrant flowers on upright and taller stems. Be careful as the plant's leaves can be mildly caustic and cause a rash on contact. This is, of course, an abbreviated list. In general, but primroses for their flower color and fragrance and treat them all similarly indoors. Potted indoor primrose is a delightful way to usher out winter or welcome in the spring. They are available in a wide range of striking colors, forming a mass of flowers. Most people prefer the taller, upright delicate primroses indoors, but even a pot of common primrose is a nice addition. Extend the flowering season by pinching off dying buds. After the plant has done blooming, consider moving it outside. While inside, do not overwater; wilting even though the plant is getting water is a sign of root rot. Remember to keep them at a good balance of conditions; like so much of life, successfully growing primrose plants is largely a matter of temperance and moderation.